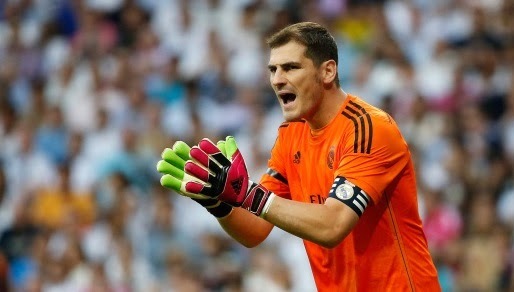 Premier League side Arsenal are still keeping tabs on Real Madrid veteran Iker Casillas as the reports revealed that the Spanish giants are closing on to seal David de Gea deal. Real Madrid have reportedly sealed the deal for Manchester United keeper David de Gea which means that the arrival of the new keeper will make Casillas a bench player. Casillas who has lifted several La Liga titles is still fit and in form to play regular football. The Daily Mail claimed that Casillas could still leave the club even if De Gea failed to sign a deal at Santiago Bernabeu. Arsenal boss Arsene Wenger is already eyeing a goalkeeper this summer with Chelsea's Petr Cech linked strongly. The Chelsea keeper is also linked with Manchester United as per recent news but the reports believe that he is 99% close to Arsenal move. But the Gunners are still keeping tabs on Casillas which means they could still prefer his move over Cech. Arsenal have faced problems this season with Wojciech Szczesny and David Ospina who is the current regular keeper at the Emirates. Arsene Wenger will surely bring a World Class keeper at Emirates next season. Which player would you like to see at Emirates? Great article! I always keep on watching this game and my favorite player is David de Gea. He is a good player right?